Partner Organisation: Technische Universiteit Delft, Universidade Federal Do Parana, Universidade Federal De Pernambuco, Universidad Del Valle De Mexico Sc, Indian Institute Of Technology Guwahati, Tsinghua University, Hunan University, Cape Peninsula University Of Technology, Stellenbosch University, Universidad Autonoma Metropolitana, Brunel University London, Aalto-Korkeakoulusaatio, Ujwal Trust. 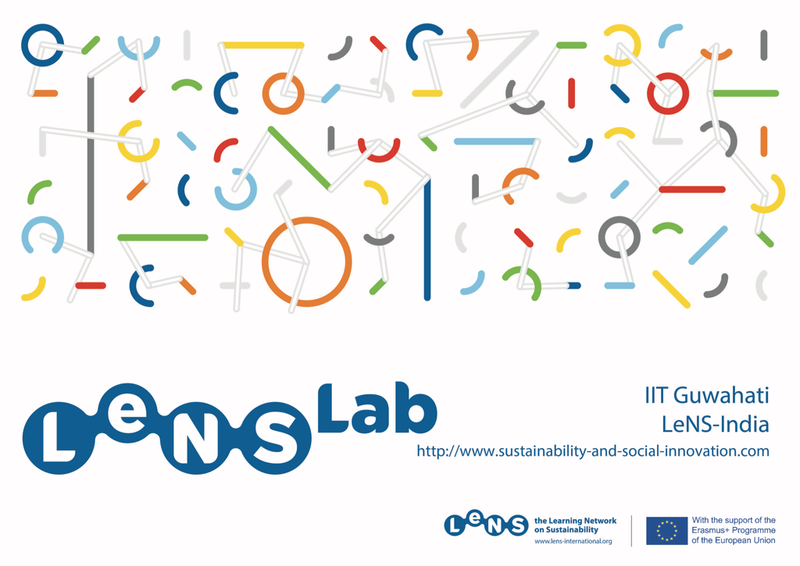 ​The LeNSin project aims at the internationalization, intercultural cross-fertilization and accessibility of higher education by consolidating and empowering a global network called the Learning Network on Sustainability. This network is composed of 6 existing, functioning regional networks (14 HEIs in 5 partner countries and 4 European HEIs): LeNS_Brasil, LeNS_Mexico; LeNS_South Africa, LeNS_China, LeNS_India and LeNS_Europe. The project stresses curriculum development in the field of Design for Sustainability (DfS) focused on Sustainable Product-Service Systems (S.PSS) and Distributed Economies (DE), both known as promising models to couple environmental protection with social equity/cohesion and economic prosperity. LeNSin fosters capacity building in each region through 5 Seminars and 10 Curricular Courses, designed and implemented by the Partner countries’ and European HEIs in close collaboration and involving local companies/NGOs/institutions.The two supporting structures of the project are:-The distributed Open Learning E-Platform (d.OLEP): a decentralized web platform enabling distributed production&transfer of knowledge, adopting a learning-by-sharing mechanism with an open©left ethos. It is a repository of learning resources (slide shows, video, audio, texts, etc.) and tools that any teacher can download for free and reuse and adapt to contextual conditions. -A set of labs (LeNS_labs) that: support students, teachers, researchers and local stakeholders with DfS tools and resources; host the d.OLEP with regionally developed resources and tools; and act as hubs connecting all LeNS_labs with local and global HEIs and companies/NGOs/institutions in a multipolar scheme. The d.OLEP and the labs will remain after the project end to ensure endurance of the action.An international “Decentralized Conference” (5 simultaneous national Conferences in the Partner countries and 1 in Europe) and a Students’ Design Award further disseminate the project results. 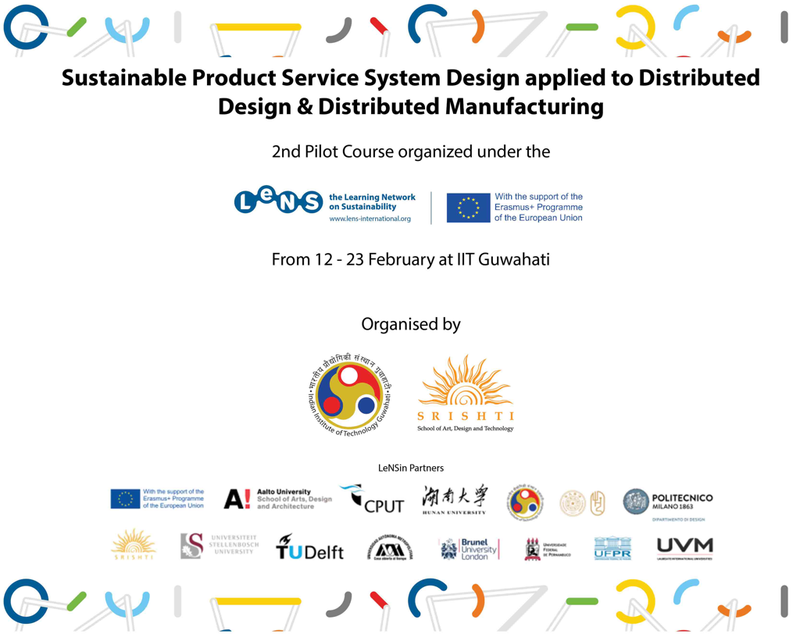 Sustainability and Social Innovation Lab at Department of Design, IIT Guwahati in collaboration with our LeNS-India partner Srishti Institute of Art, Design and Technology organised a 2 week (12 - 23 February 2018) long Pilot Course on Sustainable Product Service System Design applied to Distributed Design and Distributed Manufacturing. Prof. Carlo Vezzoli and Dr. Cenk Basbolat from Politecnico di Milano, Italy and Prof. Brenda García Parra and Prof. Alinne Sánchez Paredes from Universidad Autónoma Metropolitana, Mexico are the guest lecturers and observers for the course. The course is being organised with the support of the Erasmus+ Programme of the European Union.